The newspaper Estadão has a short article on the beginnings of MMA, or Mixed Martial Arts, which is very popular in Brazil (and worldwide). On the 100th anniversary of the birth of Hélio Gracie, one of the brothers that helped popularize jiu-jitsu, the newspaper showed off some article clippings from 1931. 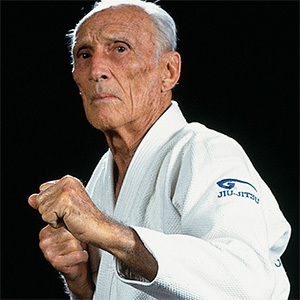 They mentioned how another Gracie brother, Oswaldo, sought to prove that jiu-jitsu would reign supreme in a fight against anyone that was up to the challenge. In late November of ‘31, a fight was set up in São Paulo against a capoeirista named “Moleque de Copacabana”. These were two Brazilians going up against each other, with each effectively saying their sport was better than the other’s, with Gracie backing the Japanese way and “Moleque” backing something purely Brazilian. No surprise that Gracie won, and quickly, ending the fight on just the second assault. Assuming, for a second, that capoeira was the better of the two, I wonder how MMA would be if it were capoeira-based. I’m imagining a capoeira “roda” at each fight, all to the sounds of berimbaus and tamborins. It would certainly be a sight to see! Like capoeira? Check out this interactive picture with info and videos about capoeira.